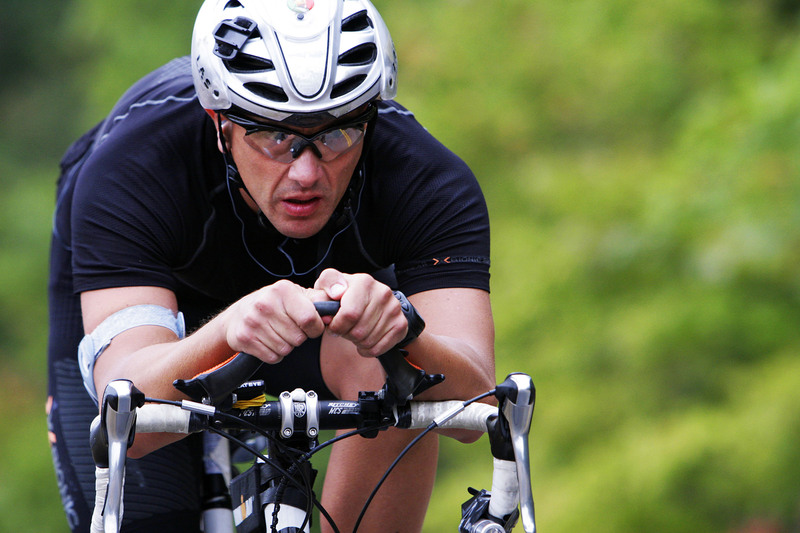 To be an "Ironman" means 3.8 km swimming, 180 km cycling and 42.195 km running, far over the human capacity. Vincenzo Catalano wants to do this every day for one month! Vincenzo Catalano is 39 years old and finished his first ironman at the age of 26. He is an Architect during the day, buys and sells houses. Then at night he practices from 8 pm till 1 am. "Sometimes maybe a little to much", he says. In the last 15 years the Italian triathlete has swam 7.500 km (the distance from Rome to New York, passing the Gibraltar), cycled 375.000 km (distance from earth to the moon) and ran about 150.000 km (three times around the world). Vincenzo Catalano is one of the best "Ironmen" on the planet. On August 31th, 2009 he will try to build a new world record completing 30 Ironman in 30 days, only supported by the performance enhancing sportswear of X-BIONIC®.